We’re delighted to say that this year we will be publishing an extensive programme with 50% of proceeds being donated to Stamp Out Suicide. 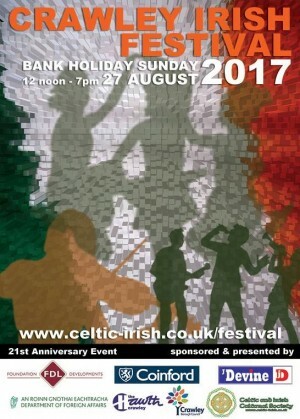 In addition to supporting some great work being done in the community, you’ll also receive free entry into the 2017 Crawley Irish Festival Raffle for some great prizes. Pick up your programme at The Hawth on Sunday 17 August from 12am.